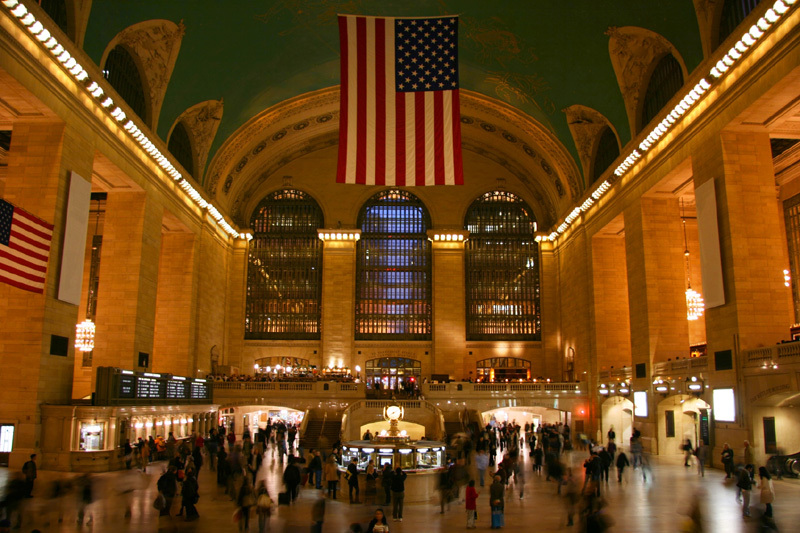 Grand Central Terminal | All Tickets Inc.
Grand Central Terminal (often mistakenly referred to as Grand Central Station) is both a major transportation hub and a destination for those interested in the architecture of this massive and beautiful Beaux-arts building. Opened in 1913, the terminal has undergone periodic renovation to accommodate technological advances. Most recently, a major renovation restored the building to its former glory. A self-guided walking tour will introduce visitors to the famous four-sided clock and information booth, the Whispering Gallery, the gold-plated chandeliers, the Kissing Room, the Grand Staircase, and the vaulted 125-foot ceiling that features an astronomical mural by French painter Paul Helieu.